Nelkon and Parker is good to develop interest in Physics! Nelkon and Parker Physics is a good book for Wave Optics and Electrostatics, though theory part of Wave Optics could have been explained in greater detail. Besides, the book also covers Atomic Physics well. Parker Physics presents theories in a very good manner and is an excellent book to spark an interest in students for Physics and developing it too. Parker Physics is an excellent book to develop mathematical skills. 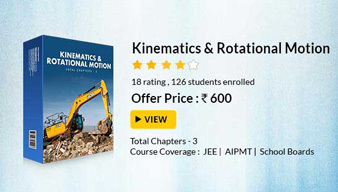 Besides clear presentation of concepts, it has easy-to-understand descriptions, diagrams and formulae to aid studies. Physics book by Nelkon and Parker covers both classical and modern physics and includes latest developments in modern physics. 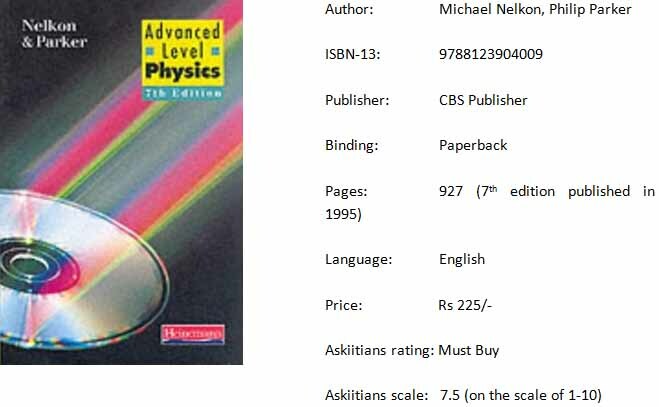 Advanced Level Physics written by Nelkon and Parker is divided into five parts. Students may use this book to clear doubts related to Wave Optics and Electrostatics but they will need other books to practice questions related to very deep concepts. Students should buy Nelson and Parker Physics as a beginner to really build interest in the subject. The wide range of problem sets have been designed to help students comprehend specific concepts easily and offer them an opportunity to practice as much as possible. At the end of the book, answers to the problems are given to help students. Nelkon and Parker have also written guides for students who want to practice Physics problems more.